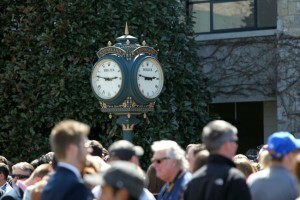 Lexington Stakes at Keeneland Rich in History: The Lexington Stakes is run annually at Keeneland Race Course in Lexington, Kentucky, as a final effort for horses to earn a small number of Kentucky Derby points. The race is only worth 10 points to the winner, and with no horse in this year’s field holding a real chance of making it to the Kentucky Derby, the horses are simply attempting to collect a Grade III win. As a race, the Lexington has been a beneficial prep to a degree. While it does not compare to the calibers of the Blue Grass, Wood Memorial, Santa Anita Derby, or Florida Derby, the Lexington has produced a Kentucky Derby winner and multiple Preakness and Belmont winners. The Lexington Stakes is contested at 1-1/16 miles over the new dirt surface at Keeneland. The race is for three-year-old colts and geldings but is also an option for fillies if they are targeting the Kentucky Derby. The race was first run in 1936 for two-year-olds, and from 1938 to 1941, the race was listed as an overnight handicap for three-year-olds and up at a distance of 1-¼ miles over the main track. Then, in 1986, the race was listed as a Grade III event before holding status as a Grade II from 1988 until 2010. 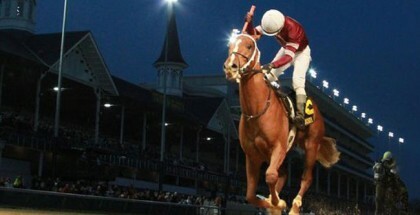 In 2011, the race was downgraded to a Grade III and is now considered to be the final Kentucky Derby prep race. Lexington was only raced seven times, but he raced until age four. Many of the colt’s races were grueling four-mile races, popular heats in the early days of racing. In his seven races, a rivalry evolved with a horse named Lecomte who handed Lexington his only defeat. In 1855, Lexington was retired due to his deteriorating eyesight which was considered to be genetic since his sire Boston had gone blind. In 2010, work on his preserved remains found that Lexington had a facial infection that caused his blindness. In 1858, Lexington was sold for $15,000 to Robert A. Alexander and stood at his buyer’s farm, Woodburn Stud in Kentucky. The stallion led the North American Sire list an incredible sixteen times before his death in 1975. In 1988, Risen Star went on after his win in the 1-1/16-mile Lexington to finish third in the Kentucky Derby behind Winning Colors, but he later succeeded in winning both the Preakness and Belmont Stakes. The third-place finish in the Kentucky Derby was Risen Star’s worst career finish, and the colt was retired after the Belmont Stakes. Risen Star was also one of the most accomplished sons of 1973 Triple Crown winner Secretariat. In 1991, Hansel won the Lexington Stakes before finishing a disappointing tenth in the Kentucky Derby. 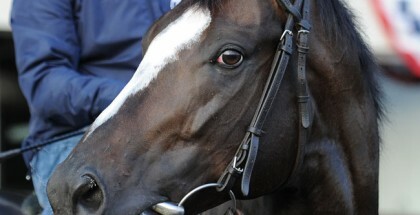 However, he rebounded two weeks later to win the Preakness Stakes and then the Belmont Stakes three weeks after that. He also went on to finish third in the Haskell and second in the Travers, and by the end of the year, Hansel had accomplished enough to be rewarded the Eclipse Award for Champion Three-Year-Old Colt. Hansel is currently pensioned from all stud duties and lives out his days at Lazy Lane in Virginia. He is the oldest living Triple Crown race winner and the oldest Preakness and Belmont Stakes winner. In 1997, Touch Gold won the Lexington Stakes before denying Silver Charm the title of Triple Crown champion in the Belmont Stakes. Touch Gold went on to win the 1997 Haskell Invitational as well, and the stallion currently stands stud in Kentucky at Adena Springs for a fee of $3,500. His progeny have earned over $44 million, and he is the damsire of one of this year’s leading Kentucky Derby contenders, Upstart. In 1999, the Lexington Stakes produced its first Kentucky Derby winner. Charismatic was entered in the Lexington Stakes as a last ditch effort by D. Wayne Lukas to get the colt into the Kentucky Derby. In the Kentucky Derby, the colt was highly disrespected at odds of 31-1 before winning the race. Charismatic went on to win the Preakness Stakes although he was still not sent off as the favorite, going to post at odds of 8-1 while Kentucky Derby runner-up Menifee was the post time favorite at 5-2. In the Belmont, Charismatic was finally sent off as the favorite at odds of 2-1. However, it would be in the race that he was favored that Charismatic would lose. He lost the lead in the stretch to Lemon Drop Kid, the eventual winner of the race. Jockey Chis Antley jumped off Charismatic shortly after the wire, sensing something was wrong with the horse. Sensing the colt’s distress, Antley picked up and held the horse’s left front leg, and vets later found it to be broken in two places. Fortunately, the colt successfully underwent surgery the following morning. The moment was voted the Moment of the Year in 1999, and Charismatic earned honors as Horse of the Year and Champion Three-Year-Old Colt as well. In 2002, the stallion was sent to Japan for stud duty, and he continues to reside there today. Now that the Lexington Stakes is back on the traditional dirt surface, Derby winners may eventually pass through its winner’s circle again. Since the last winner of the Lexington Stakes was in 1999, it may be a while before we see a horse run only two and half weeks before the Kentucky Derby, but it might just happen. This year, Divining Rod and Tiznow R J are the only horses in the field with points toward the Kentucky Derby. If Divining Rod were to win, he would have a total of 20 points towards a start in the Kentucky Derby, which would put him on the bubble of being able to enter the starting gate. If Tiznow R J were to collect the 10 points, he would have a total of 17, likely not enough to ensure a start in the Kentucky Derby. This year’s edition of the Lexington Stakes seems to be full of horses with potential to improve throughout the year, but this field is not likely to contain a future Kentucky Derby winner.